In 2017, the proportion of small businesses implementing a cyber security policy increased by 25% and it’s no coincidence that the number of British businesses falling victim to cyber crime decreased over the same period, despite an increase in the number of attacks. Not sure where to start with your cyber security policy? Let us help you. 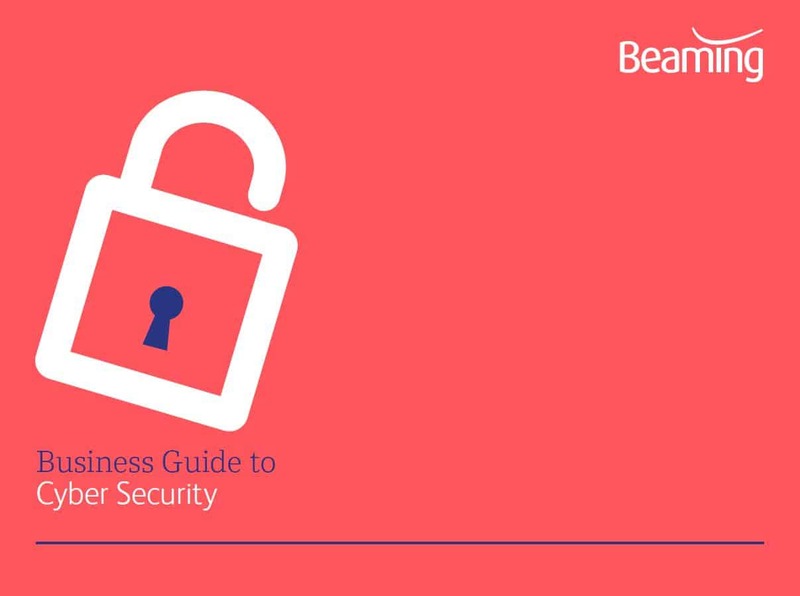 Our free Business Guide to Cyber Security explains the threats your business may face online and the best ways to tackle them. It’s all explained simply, giving you the confidence to get that policy written and increase your chances of surviving a cyber attack. What’s in the Business Guide to Cyber Security? New research about the cyber threats your business is most likely to face. Information about the best measure you can take to mitigate the threat of cyber crime. 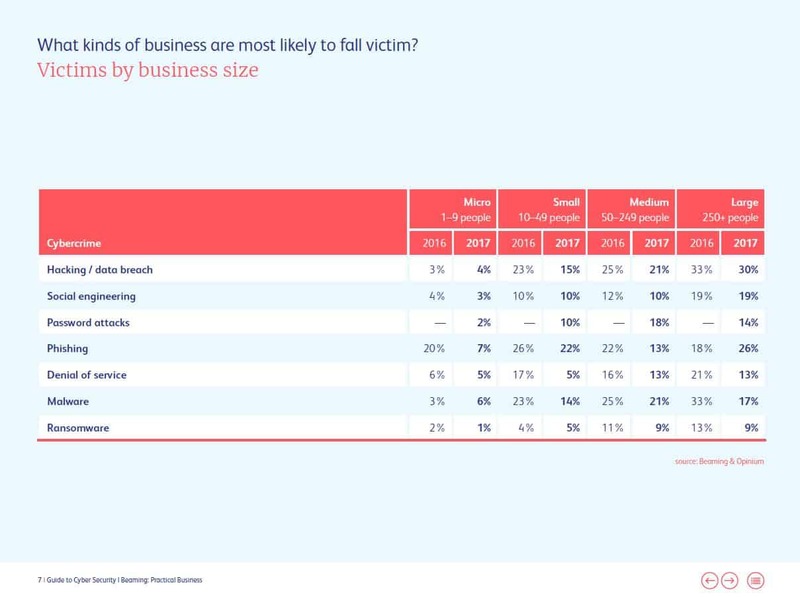 Stats on the sectors most likely to fall victim to cyber crime (did you know that more accountants are affected by cyber crime than other business services?). Advice on the areas of your business that may provide the weakest point of access for cyber attacks. New research into the importance of geography in the likelihood of your businesses becoming victim. Security advice for companies who plan to “go cloud”. Plus more research, stats and advice to help you get your cyber security policy written and -most importantly – acted upon.